Hi, I'm Autumn! Some of my favorite things include: binge watching Netflix, enjoying a good cup of coffee, and spending time with those dearest to me. 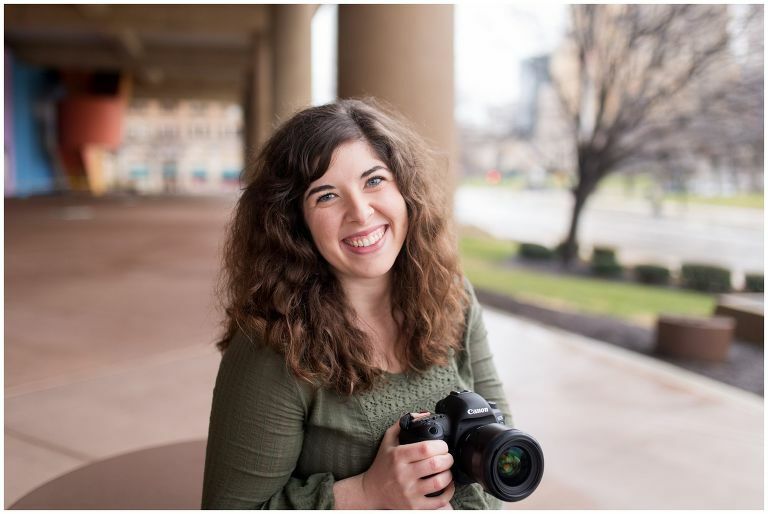 I am a Fort Wayne wedding and portrait photographer, and I am based in Kokomo, Indiana, specializing in all photos involving love and family - from engagement to marriage, to starting and growing your family. If you asked my clients to describe their experience, they would tell you that I have a way of making you feel completely comfortable and natural, while capturing the authentic moments that truly reflect your relationships. While I have always loved the written word, I know that an amazing image can tell an even greater story than words can even convey. When I realized that, I knew photography had to become more of MY story. I married my amazing husband Ryan in July 2014, and we now reside in a small, quiet town outside of Kokomo. I love meeting with couples and hearing their beginning stories, just because our story of how we became one is such a crazy, amazing one. After meeting in summer 2008 at Ball State University, we slowly fell in love over the next 8 months and began dating in February 2009. We spent exactly 7 months of our entire 5-year dating relationship living in the same town; our distances ranged from 45 minutes to 7 hours apart. He asked me to be his wife in February 2014, and the rest is the story we are continuing to write. Right after we married, I began my journey with photography. I quit my teaching job to have more free time, and I started working in technology for a school corporation. That job has given me my joy back, in allowing me to spend more time with my husband and grow my photography into one that can support our family. But it is more than a business to me; it leaves me smiling even after a session is long over. As I shoot your session and edit your images, I catch myself grinning because I know what I do will allow families to reflect back on their beginnings someday. I don't just work with my clients, but I truly believe I become a small part of your story, where we continue to connect as you grow from a young marriage to a family. I feel blessed to document the stories families will share with the next generations for years to come.